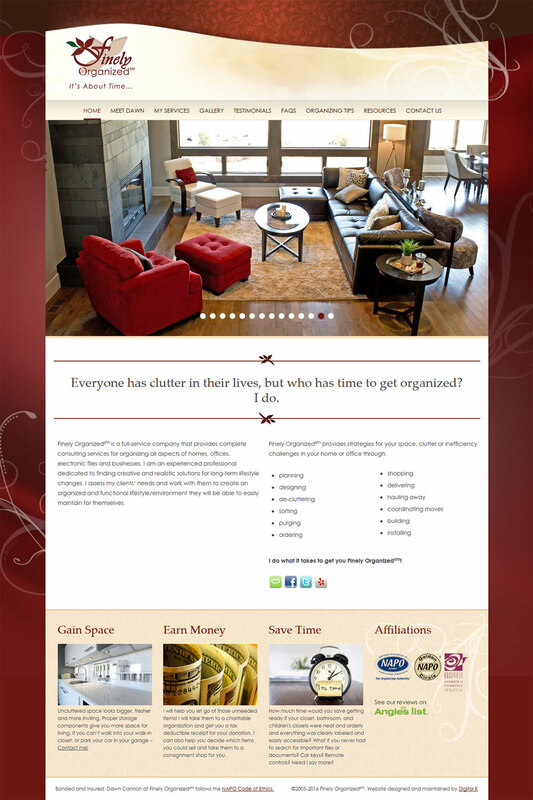 I created this new website for Professional organizer, Dawn Cannon of Finely Organized, located in Sacramento, CA. The website was created in WordPress, allowing for her to make easy content updates. “I have been using Kelly at Digital K for over a decade now for all of my website needs. She worked closely with me to create a custom website with my personal vision. Somehow she was able to beautifully illustrate my own vision turning it into a tangible product. This is remarkable considering I am extremely detailed and particular about my branding and professional presentation. She stayed calm and collected throughout all the brainstorming and changes I made to the design, working efficiently and diligently to deliver me perfection.